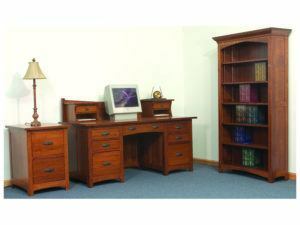 Why consider office sets or individual pieces from Brandenberry Amish Furniture? How about striking visual appeal, ergonomic design and optimal storage space. Plus Amish custom hardwood construction. 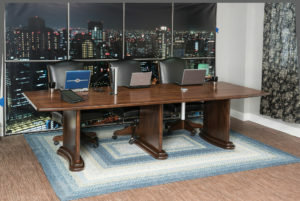 The only question is which home office furniture items are right for you? 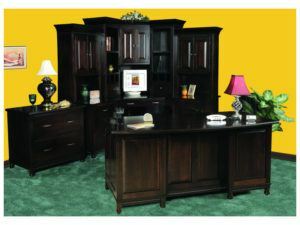 The Carlisle Office Set is a perfect office set for those seeking style and practical storage space. Fine construction, styling and plentiful storage create useful and welcoming office space for you to be efficient and professional in your home office. 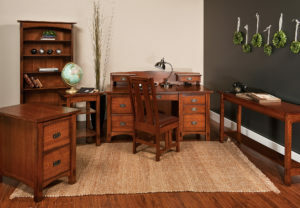 Beautiful construction accents the Oakwood Office Set. Fine construction and dynamic storage space highlights the Westlake Office Set. 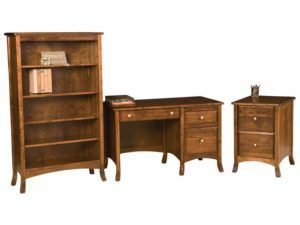 Whatever you’re looking for in custom-built, solid hardwood home office furniture, you can find an office set that will meet or surpass your expectations at Brandenberry. 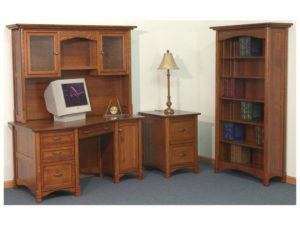 Because our sets include desks, bookcases, file cabinets, credenzas, hutches, tables, chairs and more. Skilled Amish artisans build each piece. And they use solid hardwoods plus skills handed down from their ancestors. So you’re sure to be impressed by the brilliant, genuine woodgrain. Plus the perfect fit and finish. Also, you can choose from a plethora of options. So the office desk furniture you get from Brandenberry will be uniquely yours.